National Winter Sports TBI Awareness Month is a public health and awareness campaign for highlighting the dangers of traumatic brain injury and the importance for taking precautionary measures when engaging in winter sports like skating, tobogganing and skiing. 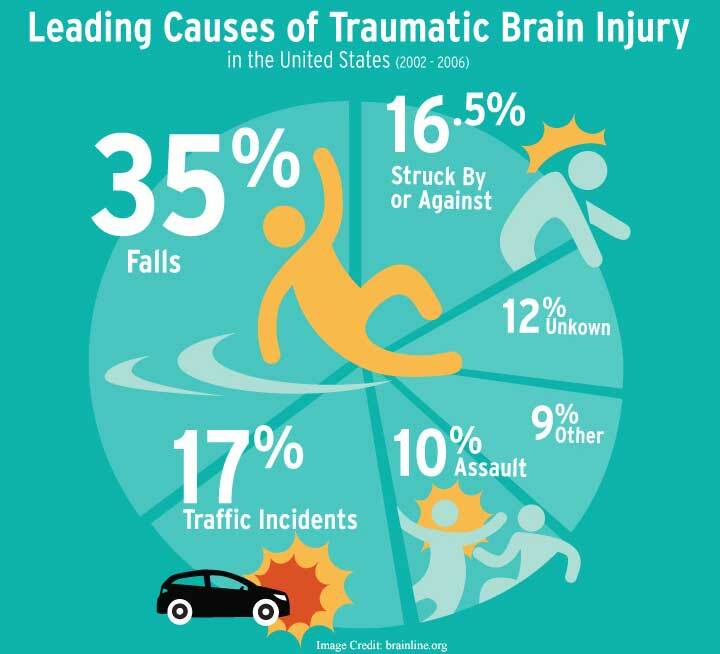 TBI stands for Traumatic Brain Injury which is a common result of injuries that involve the head. Every year, there are approximately 1.7 million head injuries in the United States according to the American Physical Therapy Association. More importantly, about 52,000 people die every year due to TBI. It is commonly caused by falling or crashing into another person or objects while skiing or skating. Many of these accidents lead to head injuries like concussions and traumatic brain injury. The awareness campaign exists because TBI is usually misdiagnosed which often causes complications or the death of the patient. Thus, it is important to spread knowledge of the symptoms among medical professionals and the public. These symptoms may be experienced immediately after the accident or days/weeks thereafter. The Johnny O Foundation hopes that the National Winter Sports TBI Awareness Month will raise awareness of the health risks (specifically concussions and traumatic brain injuries) ordinary individuals and athletes face when they participate in winter sports. It also highlights sports safety and preventive measures for avoiding concussions and TBIs. The main goal of the public awareness campaign is to reduce TBIs in the country. It is the mission of the Johnny O Foundation to educate the American public regarding the seriousness of traumatic brain injuries, dementia and Alzheimer’s disease among the American population through strategic research initiatives and improved public awareness for accomplishing their objectives. The Winter Sports TBI Awareness Month is only one among the numerous initiatives of the Johnny O Foundation. Start a social media campaign to educate the public about concussions and TBIs in relation to winter sports and other athletic activities. Volunteer for the Johnny O Foundation or other similar organizations in your area. Organize a fundraising event for the Johnny O Foundation. Organize a local activity in your community to spread awareness of the dangers of winter sports and how to prevent injuries. Print out and distribute posters that educate athletes about concussions in your community. Help educate sports organizations in your community about taking action if concussion is suspected. Talk to your local newspaper and television station and encourage them to create a public service announcement for National Winter Sports TBI Awareness Month. Contact your local radio and television station and urge them to create an educational program for the awareness campaign. There are effective measures that can be taken to prevent concussions during winter sports activities. Concussions should be taken seriously because they can result to long-term and permanent health issues. There is a need for initiatives and changes in rules in both amateur and professional sports in order to improve safety and reduce risk of head injuries including TBIs. The first step is to remove the individual from play. Make sure that he/she is evaluated by an experienced medical care professional in the evaluation of concussions. Inform the family/friends of the individual regarding the possibility of a concussion and give them informative materials about concussions. Keep the individual out of play until he/she has been thoroughly evaluated by an experienced medical care professional and given permission to return to play. National Winter Sports TBI Awareness Month is a reminder of the dangers of winter sports and the possibility of TBIs and other injuries. For such reason, it is very important to keep safety in mind and take the necessary precautions to minimize the risk of TBIs and concussions. It is also very important to be aware of the symptoms of a concussion and closely supervise someone who is suspected of a concussion or TBI.